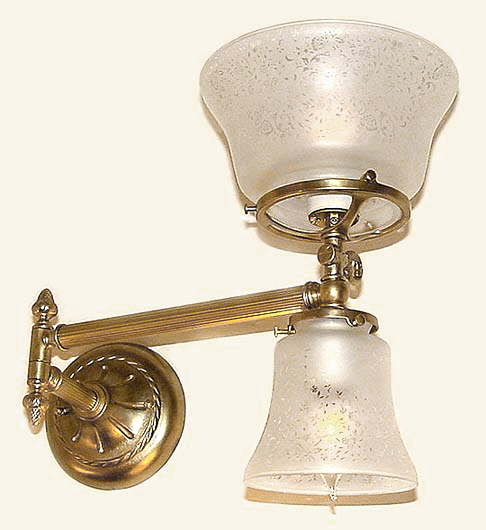 A lovely up and down gaslight 'swingarm' for mounting on either side of your master bed or even your spa or powder room. You can even tell us how long you'd like it! Very cool and VERY custom! Victorian at heart with faux key above the shade holder. Shown with beautiful etched glass which can be changed to a different shade of course. Mount it up or mount it down. 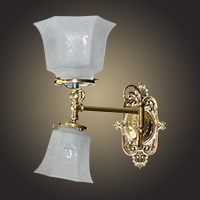 Add an optional 15 degree rotational Swivel above the lower glass holder as shown in MODEL NS230s.